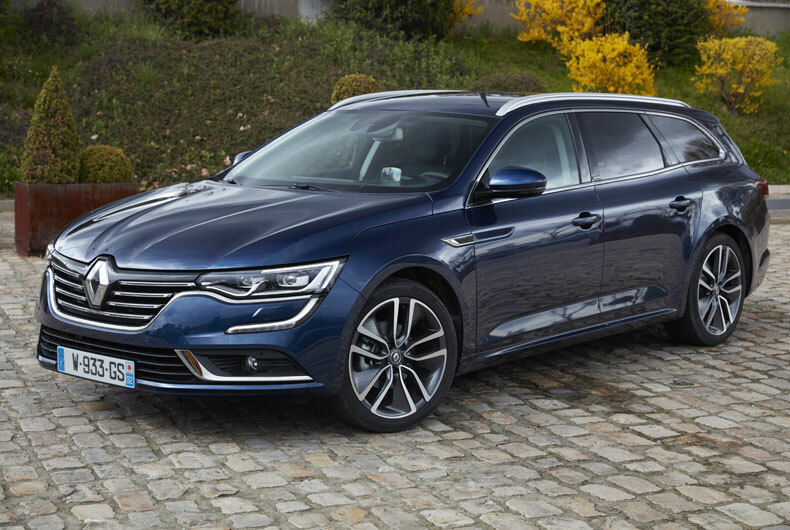 At first sight, Talisman Estate looks very similar to the hatchback. The dimensions vary little: 4.86 m long (1 cm more) by 1.87 m wide by just 1.46 m high. The 2.81 m wheelbase ensures there’s plenty of room for passengers and their luggage. And the 1.61 m track seats the car squarely on the road, for an imposing visual presence. Boot access is exemplary, with loading height of 571 mm, width of 1,075 mm, a hands-free opening system controlled by action of the foot under the rear bumper, and motorized closure. Luggage space measures 572 dm3 VDA under the rear shelf, with a load length of 1,116 mm. With the rear seats folded down, this rises to 2,011 mm, for a volume approaching 1,700 dm3 VDA. 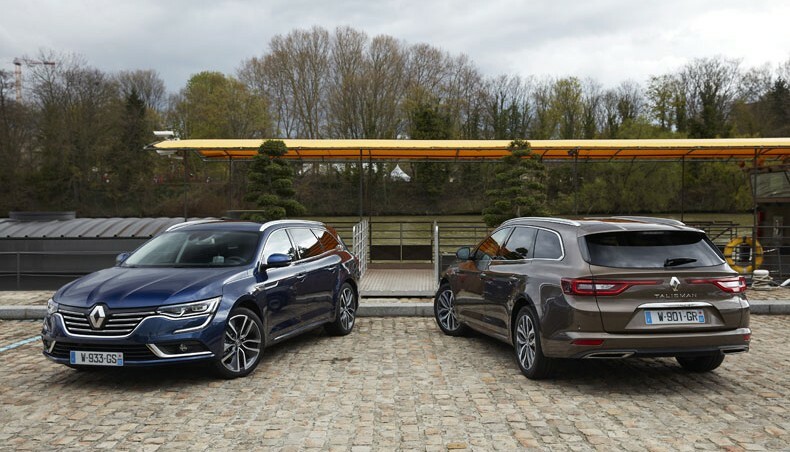 The interior brings the last word in large-car comfort, including spacious business-class electric seats with heating and ventilation functions (for seat and back), plus a massage function adjustable by type and intensity. The luxuriously wide two-seat rear bench leaves plenty of free space and affords a very generous knee room of 262 mm. The car’s smooth, crisp response is impressive to the point of being almost unsettling to start with. This has a lot to do with the 4Control four-wheel steering system, enabled permanently on Talisman Estate. At speeds up to 50 km/h (depending on the selected vehicle response mode), the rear wheels turn in the opposite direction to the front wheels, and at higher speeds they turn in the same direction. The effect is comparable to having a longer wheelbase, affording stability, a sensational driving experience, and a highly reassuring sense of safety. Whereas the 4Control system operates on sideways vehicle behaviour, the programmed suspension system operates in the vertical dimension, largely determining the sensation of softness or firmness and the degree to which the car is perceived as hugging the road. It permanently adapts shock absorber response to changes in road surface and driver action, analysing driving conditions and adjusting response up to 100 times per second. 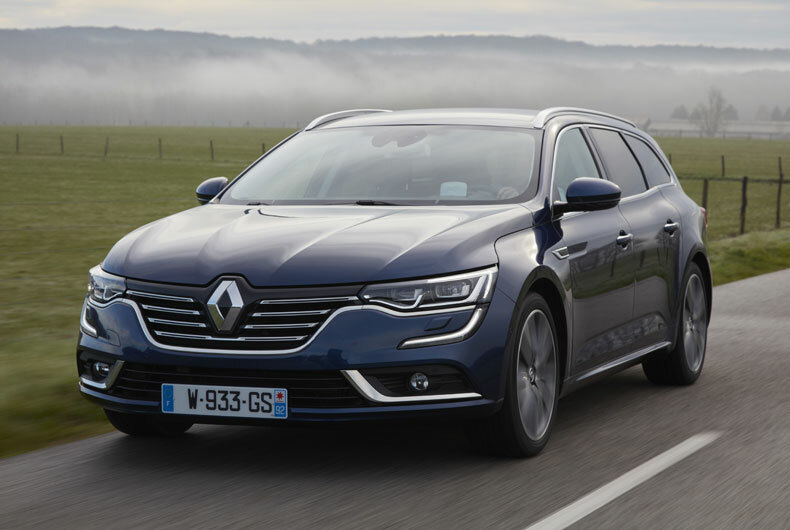 Just like other recent Renaults —Espace, Mégane, Kadjar and Talisman—, Talisman Estate has a large touchscreen acting as the vehicle’s connected control centre. The intuitive, customizable interface gives one-click access to all vehicle functions. Multi-Sense offers five programmed modes —Comfort, Sport, Eco, Neutral, Custom—, configuring all on-board technologies to the driver’s preferred vehicle response at any given time. Driver assistance systems include adaptive cruise control, cornering lights, lane departure alert and blind-spot monitoring. Bose sound, accommodating phone and audio streaming via Bluetooth, gives a rich, balanced all-round sound for driver and passengers in all seats. 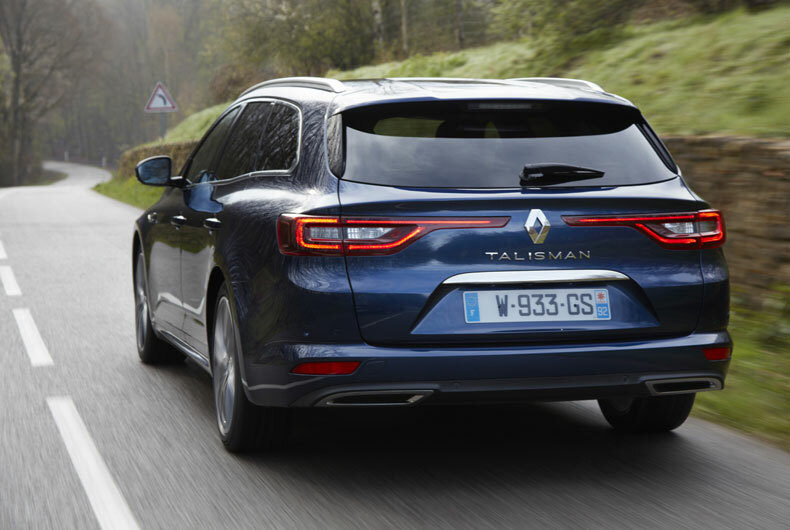 Like its little sister, Talisman Estate gets the Initiale Paris signature, hallmark of the ultimate in Renault comfort and services. So what are you waiting for? Get onto your local dealership to book a test-drive for Renault’s latest, coming to showrooms round Europe very shortly.